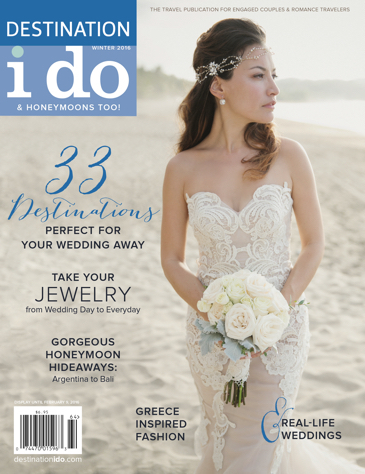 Our Winter 2016 cover features real-life destination wedding bride Elisa basking in the soft light of Sayulita, Mexico. Her gorgeous L’ezu Bridal Atelier gown and BHLDN jeweled hairpiece make her a true vision. Her romantic bouquet is by Francisco Salazar of Vodax Flores Detalle de Lujo. The talented photographer for the couple’s wedding and this photo was Stephanie Williams with This Modern Romance. 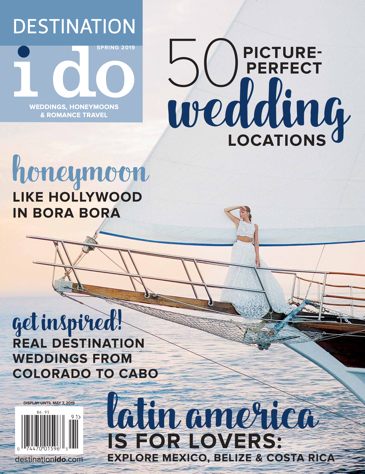 Inside the Winter 2016 issue, you’ll find the same wonderful content as our Fall 2015 issue: Honeymoon Hideaways, Ask the Expert, Adventures in Etiquette, Fashion Forward and, of course, Real Weddings – just to name a few.